If you’ve chosen to be married abroad, I can provide you with the most beautiful relaxed destination wedding photography which will capture the unique nature of your wedding day overseas. The majority of my weddings are in the UK, but I’m fortunate enough to visit countries overseas with couples for their marriage abroad. I love to travel and so the life of a destination wedding photographer suits me perfectly – with sunshine, happy smiles, beautiful scenery and incredible photographic opportunities, it’s incredibly exciting! Traveling with a camera is something I’ve become used to, but for couples who have a destination wedding in their future, I’m fully used to taking a full set of equipment and backup equipment. Whether your destination is going to be in Europe, the Caribbean, or in Asia, I can travel with you to capture the beauty of your special day. For most couples, I will arrive a couple of days before the wedding, to ensure that there are no issues with flight delays. If you believe my style might be right for your destination wedding, please don’t hesitate to get in touch so that we can discuss the details of your marriage abroad. Pack your sunglasses – it’s going to be fantastic! Planning your wedding abroad can be logistically awkward. There are extra legal requirements .. but photography can be simple. I’m a highly experienced destination wedding photographer .. and yes I can drive well on the other side of the road! To book me, you only need to fill out a quick form and pay the retainer invoice to cover flights to the destination and any booked accommodation .. and you’re done! I’ll sort everything else out from there. 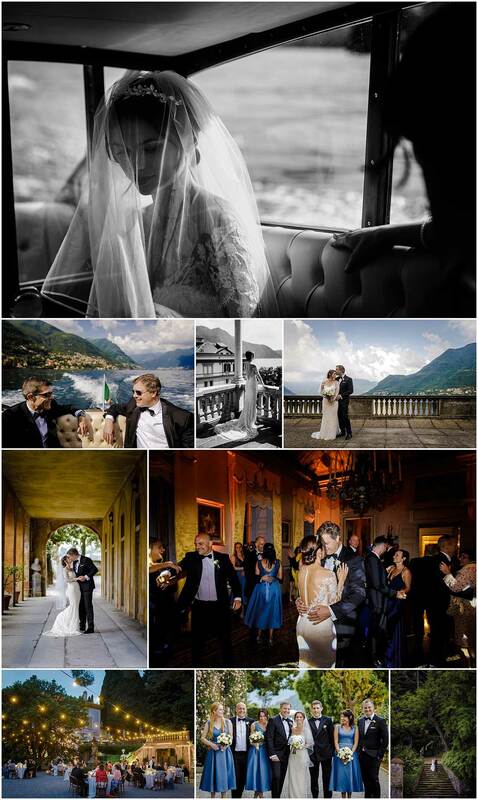 Oliver & Aleksandra chose the shores of the beautiful Lake Como for their destination wedding. 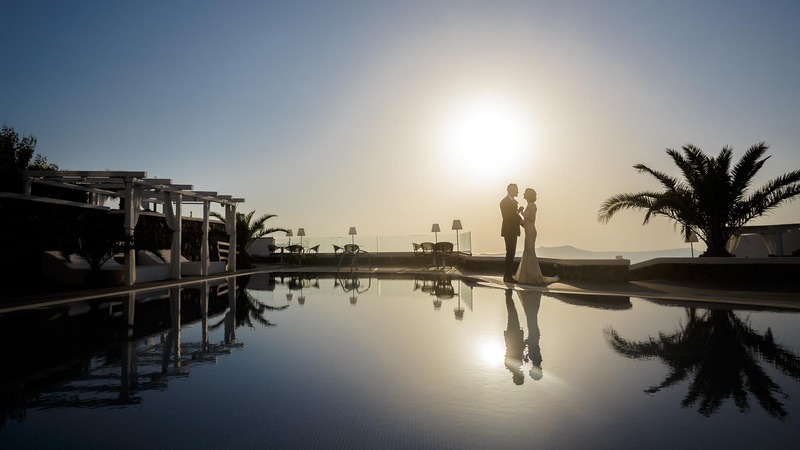 It’s one of the most popular options for a luxury wedding abroad and perfectly suits my elegant photography style. 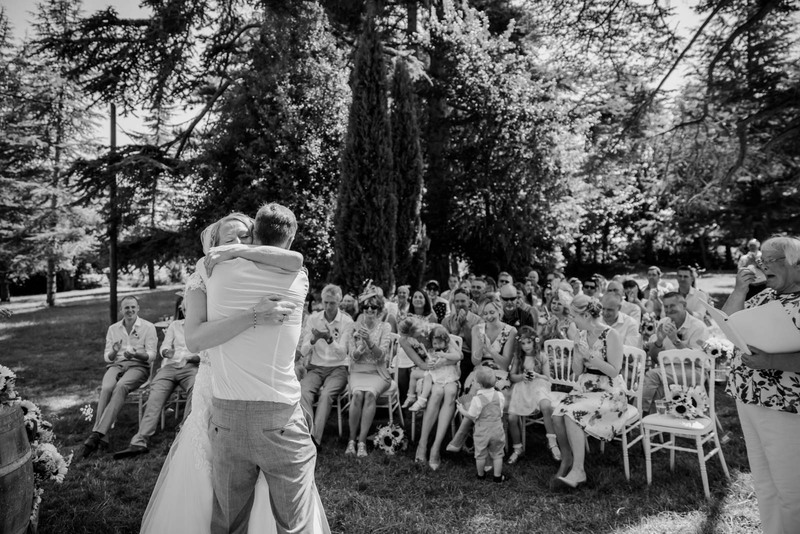 Their day was spent by the lake as they made their wedding vows and enjoyed their time together with treasured guests. 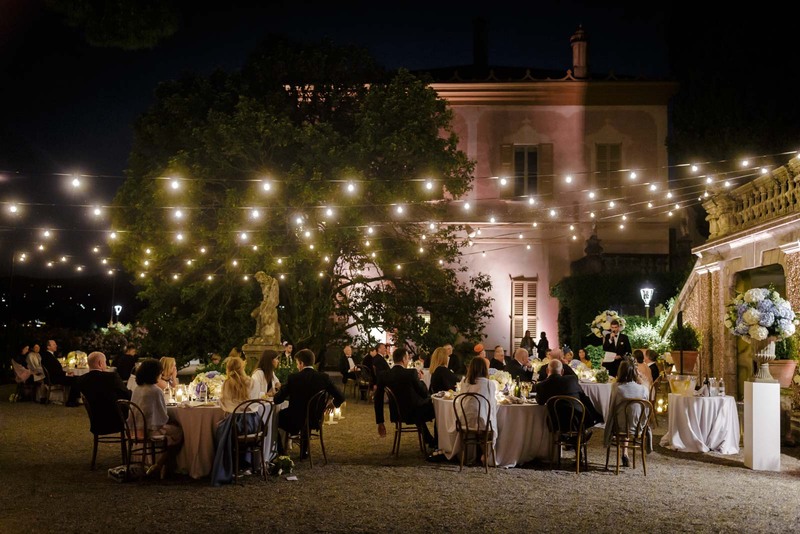 See more wedding photographs from Lake Como. 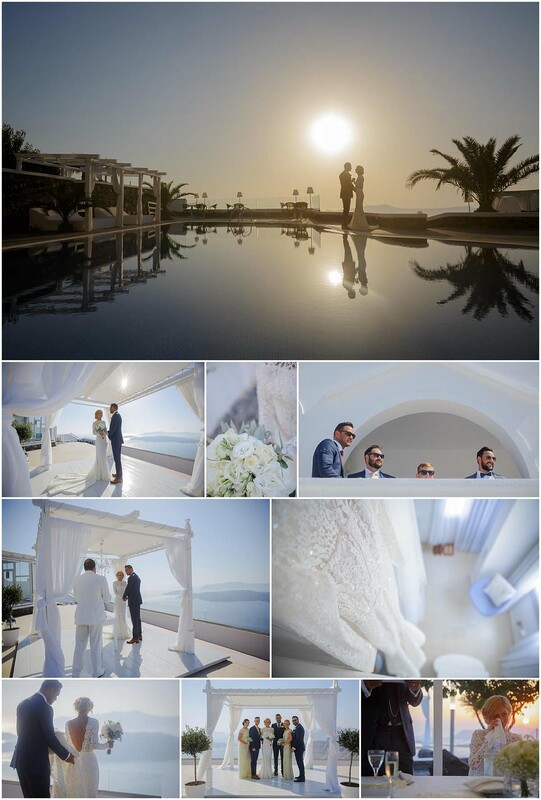 Carla & Lee chose Santorini for their wedding and took me along as their destination wedding photographer. Carla thought my relaxed style would perfectly compliment her day at the edge of the cliffs looking out over the amazing ocean below. It was such a beautiful ceremony and they and their guests made the most of the beautiful Greek Islands as they partied into the night. See more destination wedding photographs from their day. 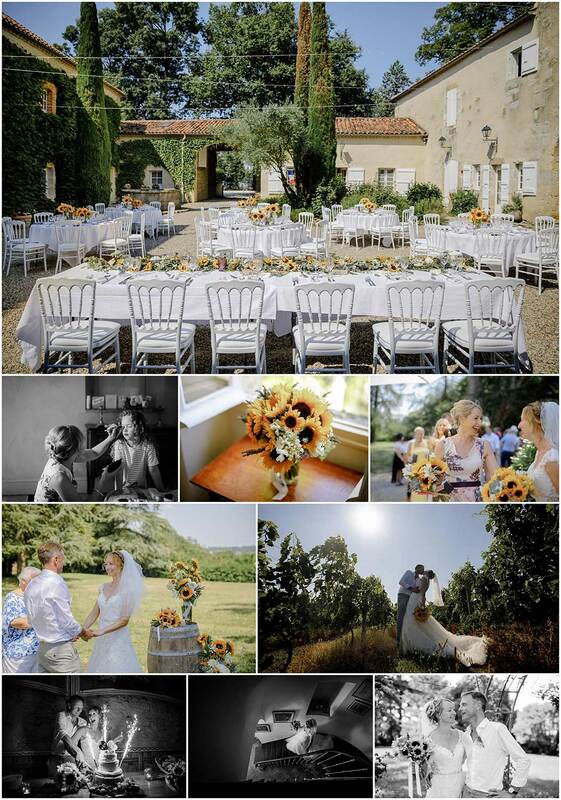 Sarah & Nick had rented a unique chateau in the south of France for their wedding. I was determined to provide them destination wedding photographs which captured their spirit, and that of their friends and family. They were such a fun couple and the 35 degree weekend was full of laughter. See more photographs from their destination wedding. Couples who choose me to photograph their destination wedding love the mixture of beautiful wedding details, stunning couple photographs, relaxed group photos and meaningful candid moments. Relaxed & natural throughout the day; but it’s important to have fun! Usually, I will travel to your destination a couple of days before to ensure there are no issues with flight delays. Unless I’m right in the centre of town, I would rent a car so that I can get around without needing to rely on taxis. First order will usually be meeting up with yourselves to see how everything is progressing and maybe take a look at the venue. On the wedding day itself, I’ll be there for the bridal preparation through to the party of the first dance. It’s a long day .. but I love it! I would love to discuss your wedding abroad with you in more detail. Feel free to get in touch for a quick chat and to go through prices and availability.